Photo provided by the UNESCO Courier, and used as part of a partnership with the #IYIL2019 campaign. Rising Voices note: We're pleased to relaunch our biweekly newsletter that will provide a summary of our recent blog posts about all aspects of digital inclusion including access and adoption of digital tools, as well as different ways for communities to fully participate online. Read here for previous editions of this newsletter. 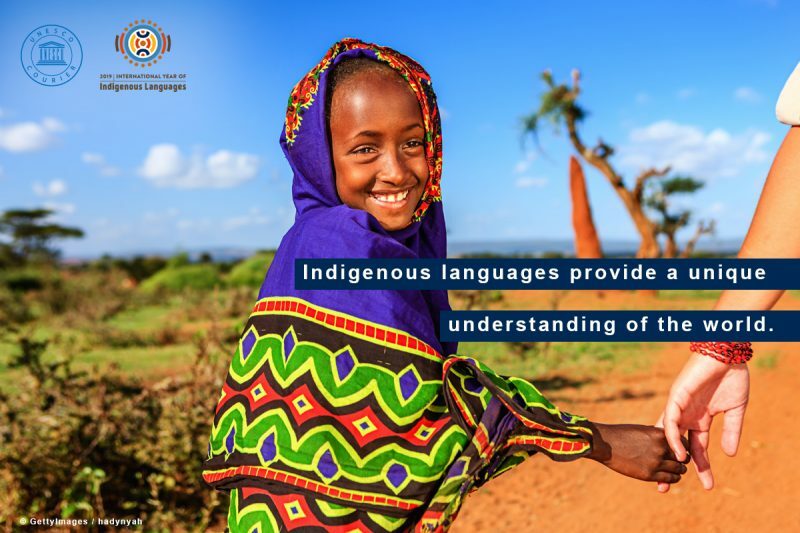 The International Year of Indigenous Languages (IYIL19) is underway! 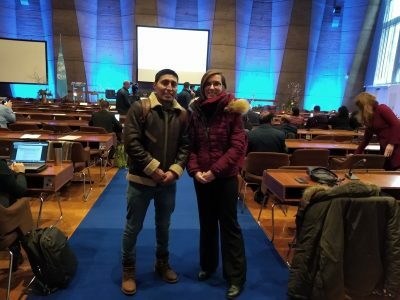 Global Voices through its Rising Voices initiative is taking part as an official partner and we were present at the official launch at UNESCO headquarters in Paris on January 28th. Our colleague, Gwen Lefeuvre, the Lingua site manager for Global Voices in French was there live-tweeting throughout the day. Digital activist Juan Carlos Romero, a native Quechua speaker spoke on the panel “Establishing digital gateways for indigenous language users”. Gwen Lefeuvre and Juan Carlos Romero at the launch of IYIL in Paris on January 28, 2019. Photo by Lefeuvre. As part of RV’s activities for #IYIL19, we’ve organized a year-long rotating Twitter campaign and will share the voices of 50 indigenous language digital activists from Latin America to highlight linguistic diversity across the region. The first four digital activists to kick off the campaign were Yásnaya Elena Aguilar Gil, Simona Mayo, Ruben Hilari Quispe, and Irma Alvarez Ccoscco. You can follow along more at @ActLenguas (Language Activism). In January, we also launched the first publication of DigiGlot, a biweekly collaborative newsletter examining how indigenous, minority, and endangered language communities are adopting and adapting technology for their own needs. Subscribe here if you would like to receive the newsletter through email. Rising Voices’ partnership with Association for Progressive Communications (APC) allows for an exchange of content related to digital inclusion and online participation. Recently, we’ve been republishing country reports from the latest GISWatch focusing on community networks, which are defined as “communication networks built, owned, operated, and used by citizens in a participatory and open manner.” Recent posts from this series on community networks have included research into community networks in the Seychelles, United States, Colombia, Kyrgyzstan, and Australia. The Rwanda Film Festival (RFF, aka Hillywood), organized by the Rwanda Cinema Centre in collaboration with the Kwetu Film Institute, is calling for submissions, including a special category for “Web Series”. Submissions due: May 1, 2019. Wikipedia editors can select from several machine translation systems to support an initial article translation, Google Translate now being one of these options. Google is introducing two Android apps that can be of assistance to those with hearing impairment or hearing loss — Sound Amplifier and Live Transcribe. 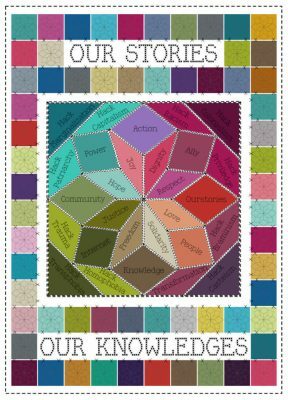 Rising Voices is partnering with Whose Knowledge?, “a global campaign to center the knowledge of marginalized communities (the majority of the world) on the internet” to republish and share their recent collection of resources focusing on building alliances and networks for the sharing of knowledge, especially among marginalized communities. To honor the memory of our friend Boukary Konaté, a Malian blogger and Bambara-language activist who passed away, the Doni Blog Mali, the Association of Malian Bloggers, created special awards recognizing the best of Malian blogging. Boukary was a Rising Voices grantee with his project Ségou Villages Connect. Special thanks to Yanne C for special contributions to this newsletter.